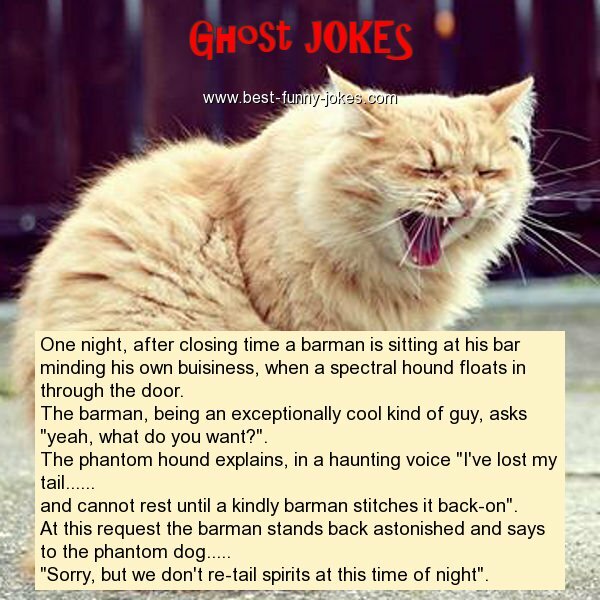 One night, after closing time a barman is sitting at his bar minding his own buisiness, when a spectral hound floats in through the door. The barman, being an exceptionally cool kind of guy, asks "yeah, what do you want?". and cannot rest until a kindly barman stitches it back-on". "Sorry, but we don't re-tail spirits at this time of night".